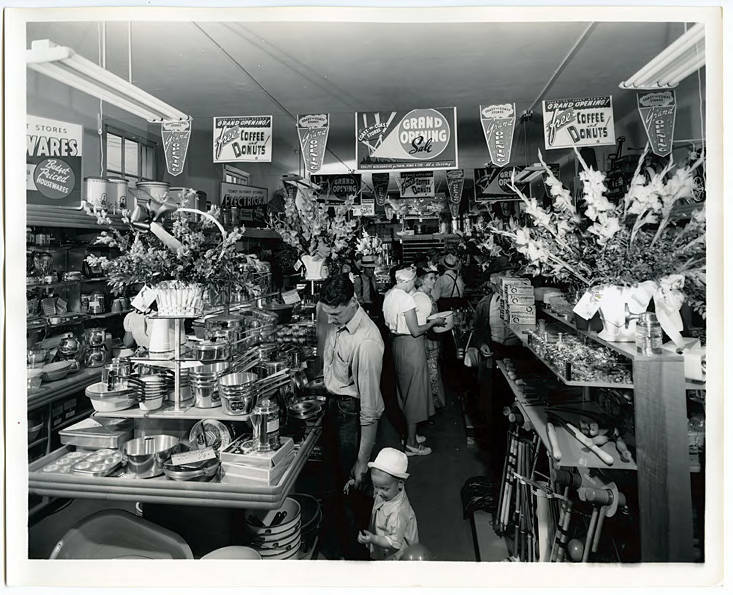 Black and white image depicting the interior of a store stocked with a great many household items, from pots and pans to croquet sets. Banners overhead announce a 'Grand Opening Sale.' A man holds the hand of a small child in the foreground, while other shoppers can be seen in the background with items in hand to purchase. The numerous floral arrangements were a typical decoration for grand opening celebrations at this time. 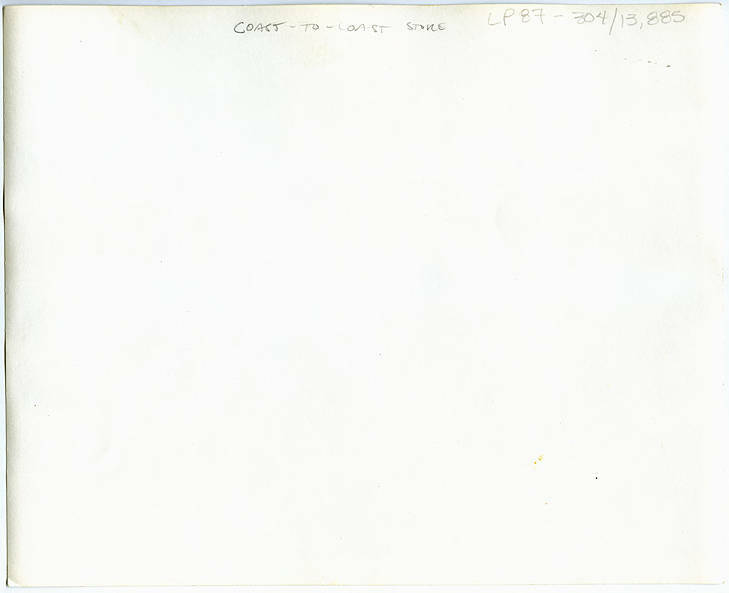 [back] [pencil] Coast - to - Coast Store.